Roster last updated on April 8, 2019. 5001 SOU 5001 SOU 01-1972 5809 5809-2 Equipped for remote control operation. Equipped with electric parking brake. 5002 SOU 5002 SOU 01-1972 5809 5809-3 Equipped for remote control operation. Equipped with electric parking brake. 5003 SOU 5003 SOU 01-1972 5809 5809-4 Equipped for remote control operation. Equipped with electric parking brake. 5004 SOU 5004 SOU 01-1972 5809 5809-5 Equipped for remote control operation. Equipped with electric parking brake. 5005 SOU 5005 SOU 02-1972 5809 5809-6 Equipped for remote control operation. Equipped with electric parking brake. 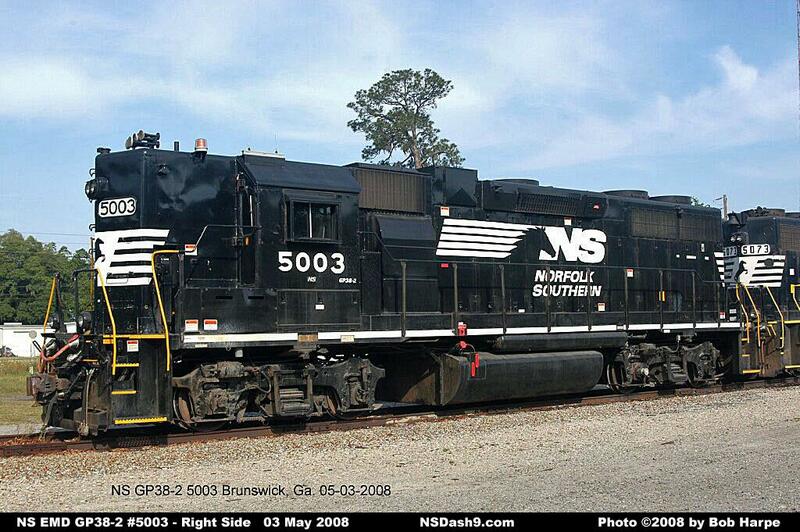 Unit currently stored and assigned for use at the NS training facility at McDonough, GA.
5006 SOU 5006 SOU 01-1972 5809 5809-7 Equipped for remote control operation. Equipped with electric parking brake. 5007 SOU 5007 SOU 01-1972 5809 5809-8 Equipped for remote control operation. Equipped with electric parking brake. 5008 SOU 5008 SOU 02-1972 5809 5809-9 Equipped with electric parking brake. 5009 SOU 5009 SOU 01-1972 5809 5809-10 Equipped with electric parking brake. 5010 SOU 5010 SOU 02-1972 7362 7362-1 Equipped with electric parking brake. 5011 SOU 5011 SOU 02-1972 7362 7362-2 Equipped with electric parking brake. 5012 SOU 5012 SOU 02-1972 7362 7362-3 Equipped for remote control operation. Equipped with electric parking brake. 5013 SOU 5013 SOU 02-1972 7362 7362-4 Equipped for remote control operation. Equipped with electric parking brake. 5014 SOU 5014 SOU 02-1972 7362 7362-5 Equipped with A/C, electric handbrake. Rebuilt with low short hood. NS LEADER/PTC Equipped. Equipped for remote control operation. 5015 SOU 5015 SOU 02-1972 7362 7362-6 Equipped for remote control operation. Equipped with electric parking brake. 5016 SOU 5016 SOU 02-1972 7362 7362-7 Equipped for remote control operation. Equipped with electric parking brake. 5017 SOU 5017 SOU 02-1972 7362 7362-8 Equipped for remote control operation. Equipped with electric parking brake. 5018 SOU 5018 SOU 02-1972 7362 7362-9 Equipped with electric parking brake. 5019 SOU 5019 SOU 02-1972 7362 7362-10 Equipped with electric parking brake. 5035 SOU (AGS) 5035 AGS 03-1972 7362 7362-26 Equipped with electric parking brake. 5036 SOU (AGS) 5036 AGS 03-1972 7362 7362-27 Equipped with electric parking brake. 5037 SOU (AGS) 5037 AGS 03-1972 7362 7362-28 Equipped with electric parking brake. Unit currently stored with wreck damage. 5049 SOU (GSF) 5049 GSF 03-1972 7362 7362-40 Equipped for remote control operation. Equipped with electric parking brake. 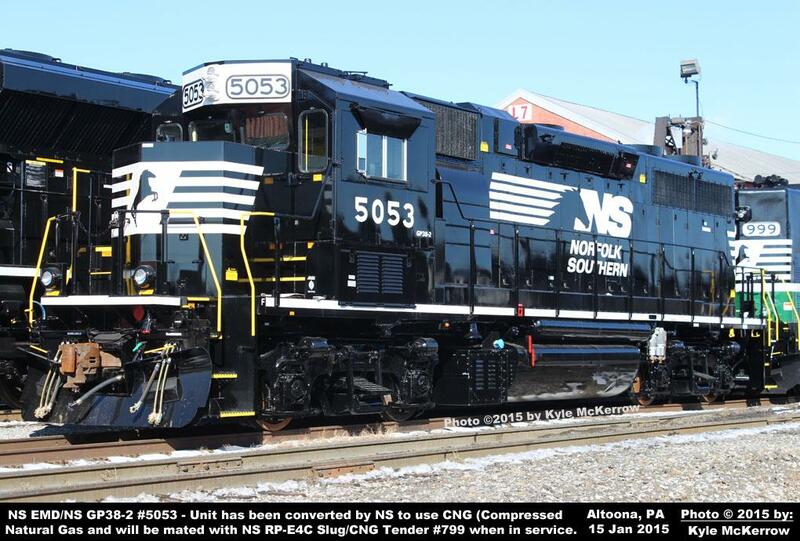 5053 SOU (INT) 5053 INT 03-1972 7362 7362-44 Rebuilt to use CNG (Compressed Natural Gas). See bottom of roster for additional information. 5054 SOU (CRN) 5054 CRN 03-1972 7362 7362-45 Equipped with A/C, electric handbrake. Rebuilt with low short hood. 5056 SOU 5056 SOU 12-1972 72653 72653-2 Equipped for remote control operation. Equipped with electric parking brake. 5062 SOU 5062 SOU 08-1973 72745 72745-4 Equipped with A/C, electric handbrake. Rebuilt with low short hood. 5066 SOU 5066 SOU 08-1973 72745 72745-8 Equipped with A/C, electric handbrake. Rebuilt with low short hood. 5070 SOU 5070 SOU 08-1973 72745 72745-12 Equipped with A/C, electric handbrake. Rebuilt with low short hood. 5073 SOU 5073 SOU 08-1973 72745 72745-15 Equipped with A/C, electric handbrake. Rebuilt with low short hood. 5074 SOU 5074 SOU 08-1973 72745 72745-16 Equipped with A/C, electric handbrake. Rebuilt with low short hood. 5077 SOU 5077 SOU 10-1973 72745 72745-19 Equipped with A/C, electric handbrake. Rebuilt with low short hood. 5079 SOU 5079 SOU 10-1973 72745 72745-21 Equipped with A/C, electric handbrake. Rebuilt with low short hood. 5084 SOU 5084 SOU 10-1973 72745 72745-26 Equipped with A/C. 5087 SOU 5087 SOU 10-1973 72745 72745-29 Equipped with A/C, electric handbrake. Rebuilt with low short hood. 5092 SOU 5092 SOU 10-1973 72745 72745-34 Equipped with A/C, electric handbrake. Rebuilt with low short hood. 5095 SOU 5095 SOU 10-1973 72745 72745-37 Equipped with A/C, electric handbrake. Rebuilt with low short hood. 5097 SOU (GSF) 5097 GSF 10-1973 72745 72745-39 Equipped with A/C. 5101 SOU (CG) 5101 CG 10-1973 72745 72745-43 Equipped with A/C, electric handbrake. Rebuilt with low short hood. 5104 SOU 5104 SOU 01-1974 73652 73652-1 Equipped with A/C, electric handbrake. Rebuilt with low short hood. 5105 SOU 5105 SOU 01-1974 73652 73652-2 Equipped with A/C. 5113 SOU 5113 SOU 01-1974 73752 73752-6 Equipped with A/C, electric handbrake. Rebuilt with low short hood. 5116 SOU 5116 SOU 01-1974 73752 73752-9 Equipped with A/C, electric handbrake. Rebuilt with low short hood. 5120 SOU 5120 SOU 01-1974 73752 73752-13 Equipped for remote control operation. 5125 SOU (GSF) 5125 GSF 01-1974 73752 73752-18 Equipped with A/C, electric handbrake. Rebuilt with low short hood. 5126 SOU (GSF) 5126 GSF 01-1974 73752 73752-19 Equipped with A/C, electric handbrake. Rebuilt with low short hood. 5132 SOU (CG) 5132 CG 02-1974 73752 73752-25 Equipped with A/C, electric handbrake. Rebuilt with low short hood. 5135 SOU (CG) 5135 CG 02-1974 73752 73752-28 Equipped with A/C, electric handbrake. Rebuilt with low short hood. 5140 SOU 5140 SOU 10-1974 73677 73677-2 Equipped with A/C, electric handbrake. Rebuilt with low short hood. 5144 SOU 5144 SOU 10-1974 73677 73677-6 Equipped with A/C, electric handbrake. Rebuilt with low short hood. 5147 SOU 5147 SOU 10-1974 73677 73677-9 Equipped with A/C, electric handbrake. Rebuilt with low short hood. 5151 SOU (AGS) 5151 AGS 10-1974 73677 73677-13 Equipped with A/C, electric handbrake. Rebuilt with low short hood. 5165 SOU 5165 SOU 08-1975 75614 75614-3 Equipped with A/C, electric handbrake. Rebuilt with low short hood. 5167 SOU 5167 SOU 08-1975 75614 75614-5 Equipped with A/C, electric handbrake. Rebuilt with low short hood. 5170 SOU 5170 SOU 08-1975 75614 75614-8 Equipped with A/C, electric handbrake. Rebuilt with low short hood. 5173 SOU 5173 SOU 09-1976 767011 767011-2 Equipped with A/C. Equipped for remote control operation. 5174 SOU 5174 SOU 09-1976 767011 767011-3 Equipped with A/C, electric handbrake. Rebuilt with low short hood. 5176 SOU 5176 SOU 09-1976 767011 767011-5 Equipped with A/C, electric handbrake. Rebuilt with low short hood. 5177 SOU 5177 SOU 09-1976 767011 767011-6 Equipped with A/C, electric handbrake. Rebuilt with low short hood. 5178 SOU 5178 SOU 09-1976 767011 767011-7 Equipped for remote control operation. Equipped with A/C. 5179 SOU 5179 SOU 09-1976 767011 767011-8 Equipped with A/C, electric handbrake. Rebuilt with low short hood. 5181 SOU 5181 SOU 09-1976 767011 767011-10 Equipped with A/C, electric handbrake. Rebuilt with low short hood. 5183 SOU 5183 SOU 10-1976 767011 767011-12 Equipped with A/C, electric handbrake. Rebuilt with low short hood. 5189 SOU 5189 SOU 10-1976 767011 767011-18 Equipped with A/C, electric handbrake. Rebuilt with low short hood. Equipped for remote control operation. 5190 SOU 5190 SOU 10-1976 767011 767011-19 Equipped for remote control operation. 5191 SOU 5191 SOU 10-1976 767011 767011-20 Equipped for remote control operation. 5192 SOU 5192 SOU 10-1976 767011 767011-21 Equipped for remote control operation. 5193 SOU (CG) 5193 CG 10-1976 767011 767011-22 Equipped with A/C, electric handbrake. Rebuilt with low short hood. 5194 SOU (CG) 5194 CG 10-1976 767011 767011-23 Equipped for remote control operation. 5195 SOU (CG) 5195 CG 10-1976 767011 767011-24 Equipped for remote control operation. 5196 SOU (CG) 5196 CG 10-1976 767011 767011-25 Equipped for remote control operation. 5198 SOU (AGS) 5198 AGS 10-1976 767011 767011-27 Equipped for remote control operation. 5199 SOU (AGS) 5199 AGS 10-1976 767011 767011-28 Equipped for remote control operation. 5200 SOU (AGS) 5200 AGS 10-1976 767011 767011-29 Equipped for remote control operation. 5201 SOU (GSF) 5201 GSF 10-1976 767011 767011-30 Equipped for remote control operation. 5202 SOU 5202 SOU 01-1977 767017 767017-1 Equipped for remote control operation. 5203 SOU 5203 SOU 01-1977 767017 767017-2 Equipped for remote control operation. 5204 SOU 5204 SOU 01-1977 767017 767017-3 Equipped for remote control operation. 5205 SOU 5205 SOU 01-1977 767017 767017-4 Equipped with A/C, electric handbrake. Rebuilt with low short hood. 5206 SOU 5206 SOU 01-1977 767017 767017-5 Equipped for remote control operation. 5207 SOU 5207 SOU 01-1977 767017 767017-6 Equipped for remote control operation. 5208 SOU 5208 SOU 01-1977 767017 767017-7 Equipped for remote control operation. 5209 SOU 5209 SOU 01-1977 767017 767017-8 Equipped for remote control operation. 5210 SOU 5210 SOU 01-1977 767017 767017-9 Equipped for remote control operation. 5211 SOU 5211 SOU 01-1977 767017 767017-10 Equipped for remote control operation. 5212 SOU 5212 SOU 01-1977 767017 767017-11 Equipped for remote control operation. 5213 SOU 5213 SOU 01-1977 767017 767017-12 Equipped for remote control operation. 5214 SOU 5214 SOU 01-1977 767017 767017-13 Equipped for remote control operation. 5215 SOU 5215 SOU 01-1977 767017 767017-14 Equipped for remote control operation. 5216 SOU 5216 SOU 01-1977 767017 767017-15 Equipped for remote control operation. 5217 SOU 5217 SOU 01-1977 767017 767017-16 Equipped for remote control operation. 5218 SOU 5218 SOU 01-1977 767017 767017-17 Equipped for remote control operation. 5219 SOU 5219 SOU 01-1977 767017 767017-18 Equipped for remote control operation. 5220 SOU 5220 SOU 01-1977 767017 767017-19 Equipped for remote control operation. 5221 SOU 5221 SOU 01-1977 767017 767017-20 Equipped for remote control operation. 5222 SOU 5222 SOU 01-1977 767017 767017-21 Equipped for remote control operation. 5223 SOU (CG) 5223 CG 01-1977 767017 767017-22 Equipped for remote control operation. 5224 SOU (CG) 5224 CG 01-1977 767017 767017-23 Equipped for remote control operation. 5225 SOU (CG) 5225 CG 01-1977 767017 767017-24 Equipped for remote control operation. 5226 SOU (CG) 5226 CG 01-1977 767053 767053-1 Equipped for remote control operation. 5227 SOU (CG) 5227 CG 01-1977 767053 767053-2 Equipped for remote control operation. 5228 SOU (AGS) 5228 AGS 02-1977 767053 767053-3 Equipped for remote control operation. 5229 SOU (AGS) 5229 AGS 01-1977 767053 767053-4 Equipped for remote control operation. 5230 SOU (AGS) 5230 AGS 02-1977 767053 767053-5 Equipped for remote control operation. 5231 SOU (GSF) 5231 GSF 02-1977 767053 767053-6 Equipped for remote control operation. 5232 SOU 5232 SOU 08-1979 786292 786292-1 Equipped for remote control operation. 5233 SOU 5233 SOU 08-1979 786292 786292-2 Equipped for remote control operation. 5235 SOU (CNOTP) 5235 CNO&TP 08-1979 786292 786292-4 Equipped for remote control operation. 5236 SOU (CNOTP) 5236 CNO&TP 09-1979 786292 786292-5 Equipped for remote control operation. 5237 SOU (CNOTP) 5237 CNO&TP 08-1979 786292 786292-6 Equipped for remote control operation. 5238 SOU (CNOTP) 5238 CNO&TP 09-1979 786292 786292-7 Equipped for remote control operation. 5239 SOU (CRN) 5239 CRN 08-1979 786292 786292-8 Equipped for remote control operation. 5240 SOU 5240 SOU 08-1979 786292 786292-9 Equipped for remote control operation. 5241 SOU 5241 SOU 08-1979 786292 786292-10 Equipped for remote control operation. 5242 SOU 5242 SOU 08-1979 786292 786292-11 Equipped for remote control operation. 5243 SOU 5243 SOU 08-1979 786292 786292-12 Equipped for remote control operation. 5244 SOU 5244 SOU 08-1979 786292 786292-13 Equipped for remote control operation. 5245 SOU 5245 SOU 08-1979 786292 786292-14 Equipped for remote control operation. 5246 SOU 5246 SOU 09-1979 786292 786292-15 Equipped for remote control operation. 5247 SOU (CNOTP) 5247 CNO&TP 08-1979 786292 786292-16 Equipped for remote control operation. 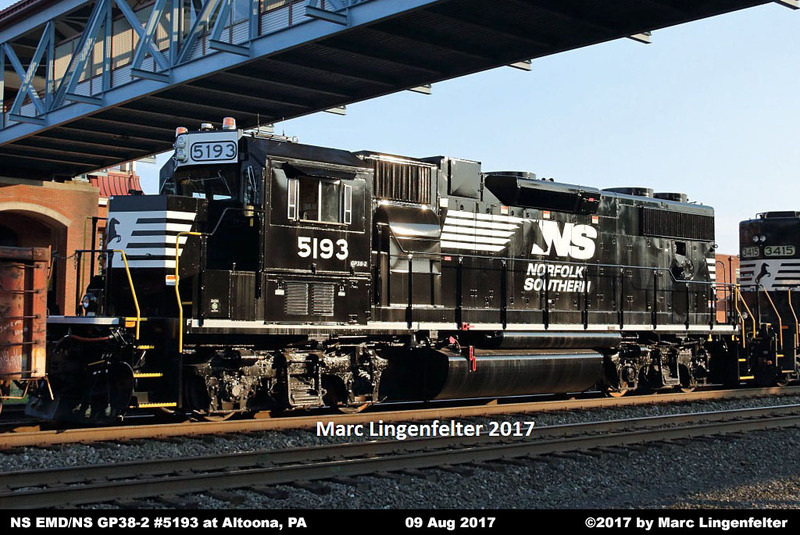 5248 SOU (CNOTP) 5248 CNO&TP 09-1979 786292 786292-17 Equipped for remote control operation. 5249 SOU (CNOTP) 5249 CNO&TP 09-1979 786292 786292-18 Equipped for remote control operation. 5250 SOU (CNOTP) 5250 CNO&TP 09-1979 786292 786292-19 Equipped for remote control operation. 5252 SOU (CNOTP) 5252 CNO&TP 09-1979 786292 786292-21 Equipped for remote control operation. 5253 SOU (CNOTP) 5253 CNO&TP 09-1979 786292 786292-22 Equipped for remote control operation. 5254 SOU (CNOTP) 5254 CNO&TP 09-1979 786292 786292-23 Equipped with A/C, electric handbrake. Rebuilt with low short hood. forward operation, and the units were completely overhauled and rewired. installed. 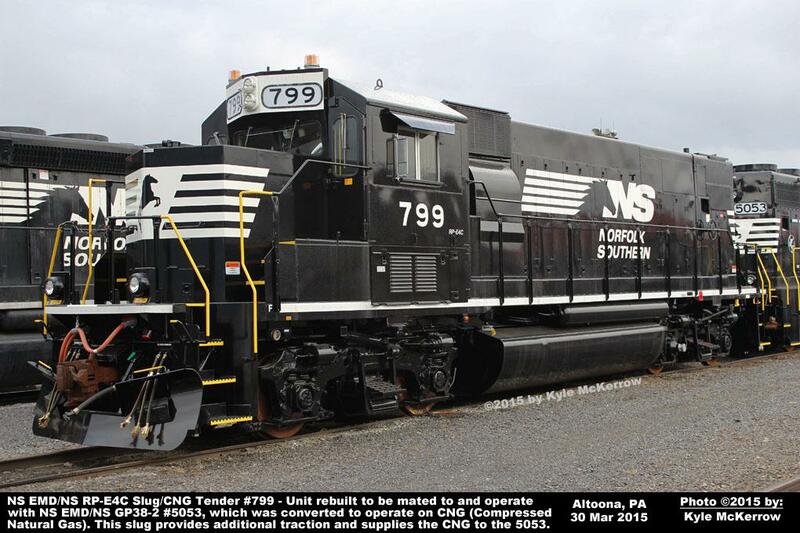 The 5053 is designed to be mated to and operate with NS RP-E4C Slug/CNG Tender 799.
been stored since returning do to poor performance in testing. low short hood, which meet increased crashworthiness standards. All other units are equipped with original high short hood.